Yay! I’ve got my laptop back. It’s all fast & speedy and, as 3 1/2 year-old grandson Capt. Adorable says, “I missed it soooo much.” I know I could have written a blog entry on any of the other computers I used while my laptop was in Computer Hospital (thanks, Husband JP, for patiently ignoring the coffee stains & bagel crumbs I left on yours) but it just wasn’t the same. My laptop understands me. We get each other’s quirks. I know the “j” key gets stuck, and my laptop knows I can’t spell “camouflage” — an essential word here in Mississippi — without help. We’re a team. And it was a team effort (how’s that for a smooth segue?) that pulled off a recent bridal luncheon I went to at The Club, a venerated icon of Birmingham, Ala. This is what happens when you know people who know people — you get invited to fancy places. Luckily, the folks I know who hang out at The Club aren’t really fancy — they were just sort of brought up that way — so everybody’s comfortable and casual and has a great time. I loved the table decor for the bridal luncheon – the little pumpkins were place-cards and had each guest’s name written on them. 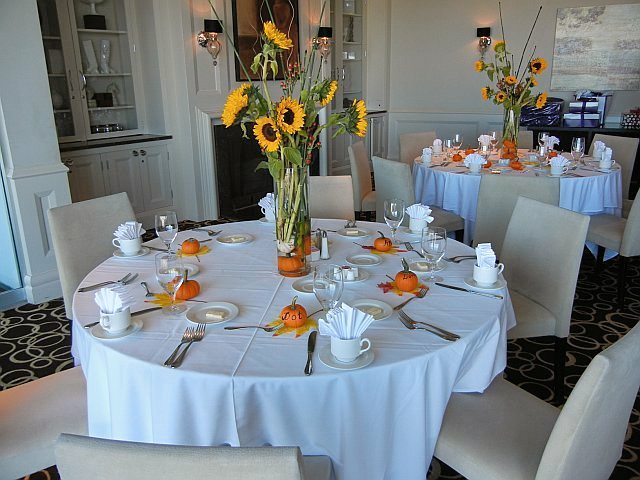 The centerpieces were perfect, and the touches of fall throughout the room only enhanced the gorgeous view of Birmingham we could admire through the huge windows. The food was delicious and — most importantly — the party was a blast. This luncheon was for the daughter of one of my good friends. They used to live around the corner from us, and I watched her, her sister and my two daughters and their friends grow up into the strong, beautiful, talented, kind, smart and awesomely wonderful young women they are today. Who have really fun bridal luncheons. 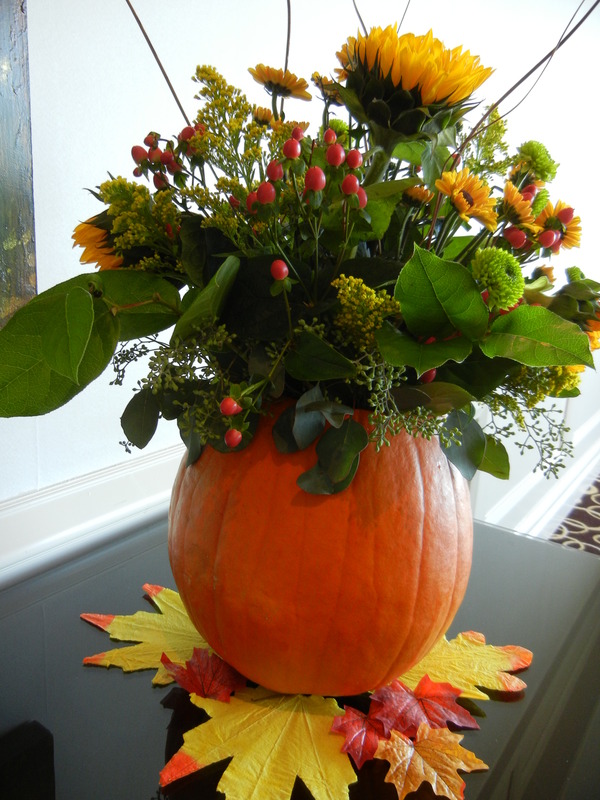 This entry was posted in Alabama, food, friends and tagged Alabama, Birmingham, bridal luncheons, entertaining, fall decor, fall luncheons, friends, Mississippi, The Club by Coffee with Cathy. Bookmark the permalink. The party was even better because you were there!!!! !